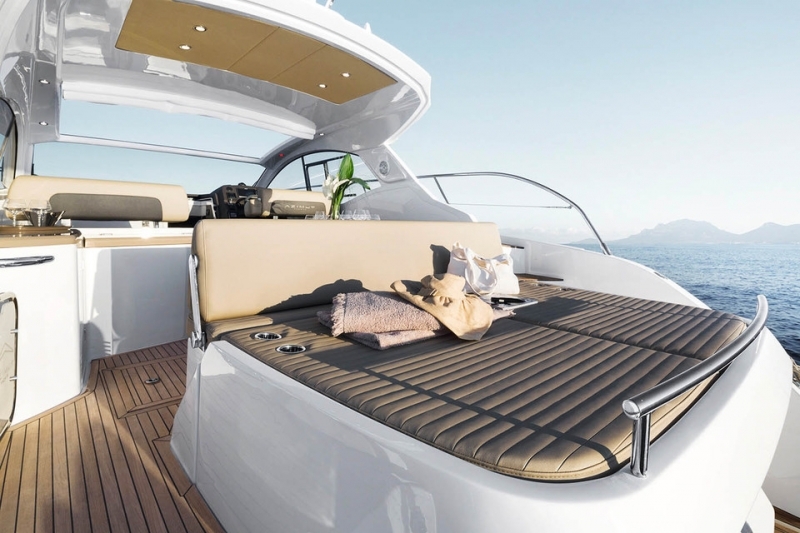 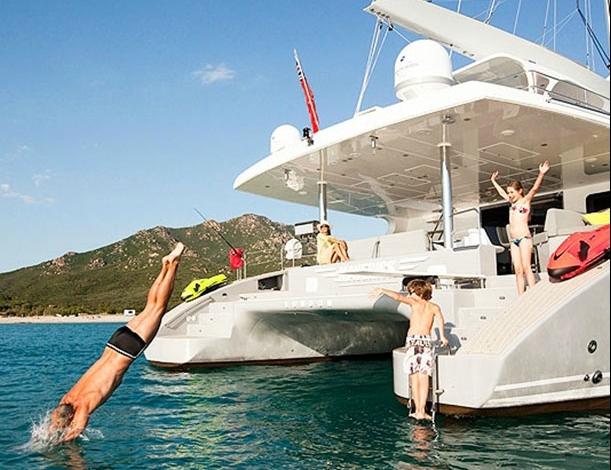 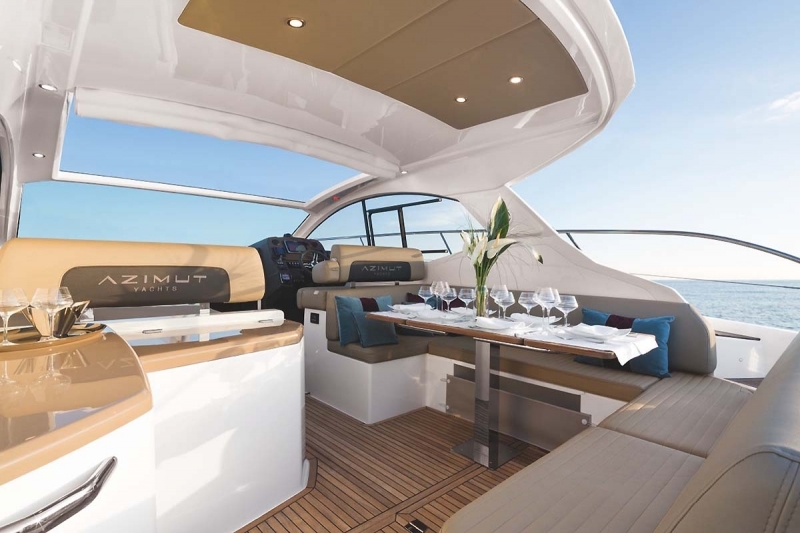 The Azimut 43 Atlantis is a proven leader in motor yachts of this class. 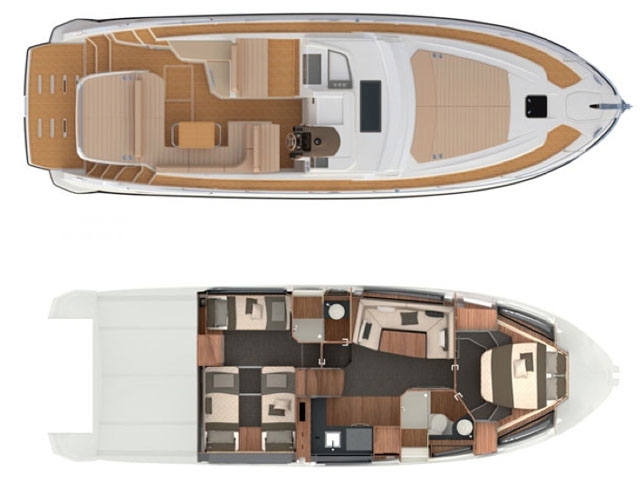 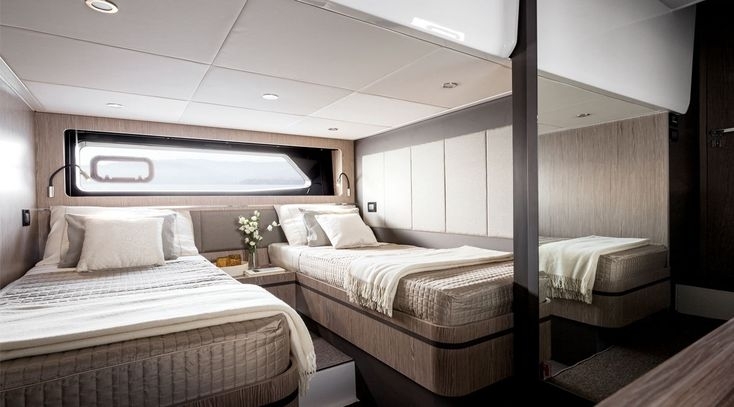 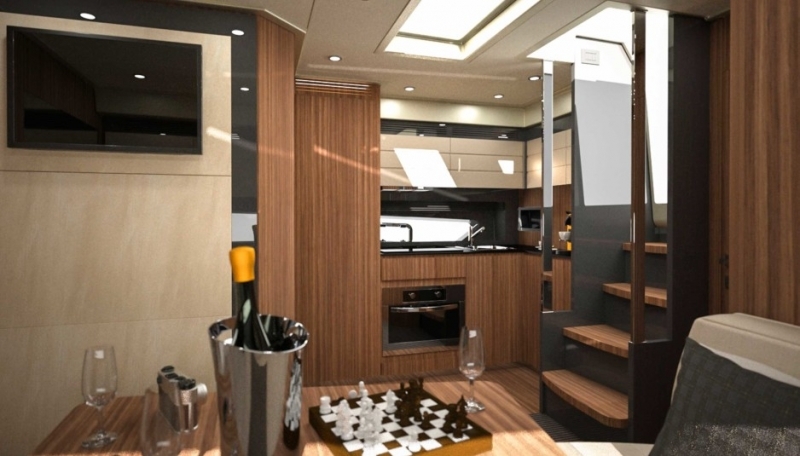 The perfect interior, the stylish furniture and the full teak cover of decks and cockpit increases the sense of luxury and comfort. 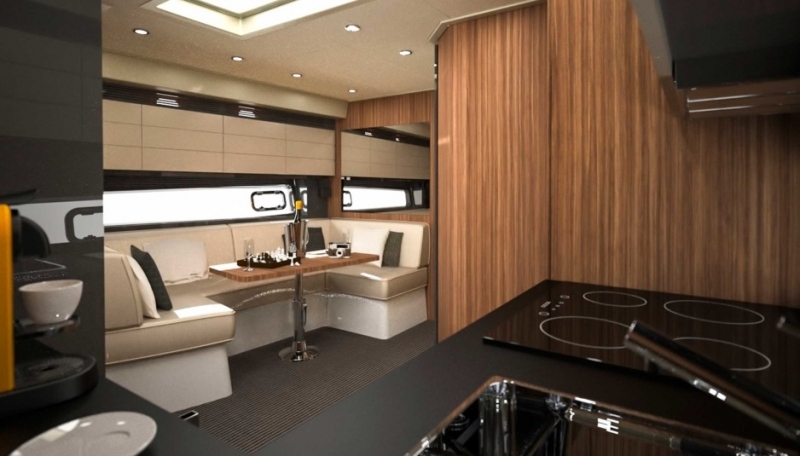 Large windows and full cross ventilation give a sense of coolness and space. 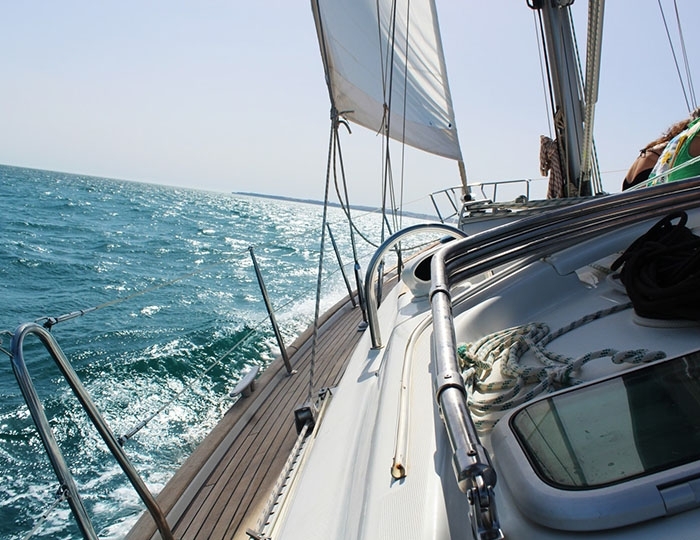 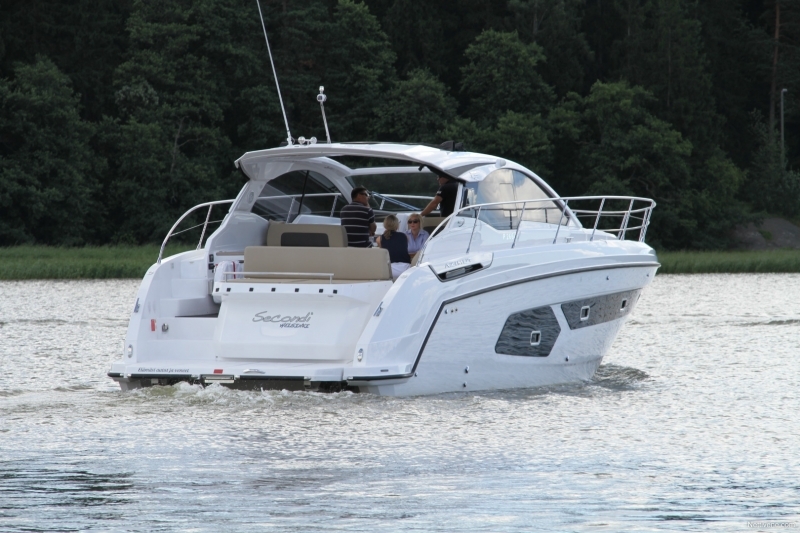 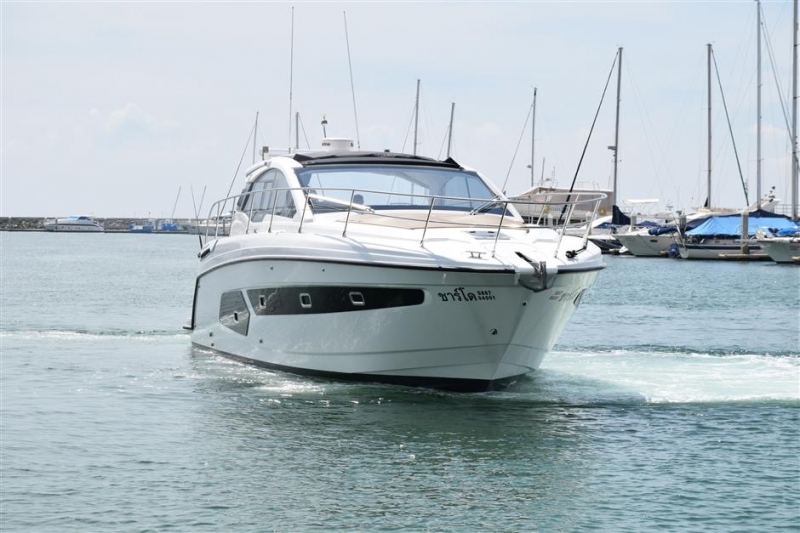 With its two double cabins and two bathrooms this yacht is very suitable for comfortable accommodation for up to four people. 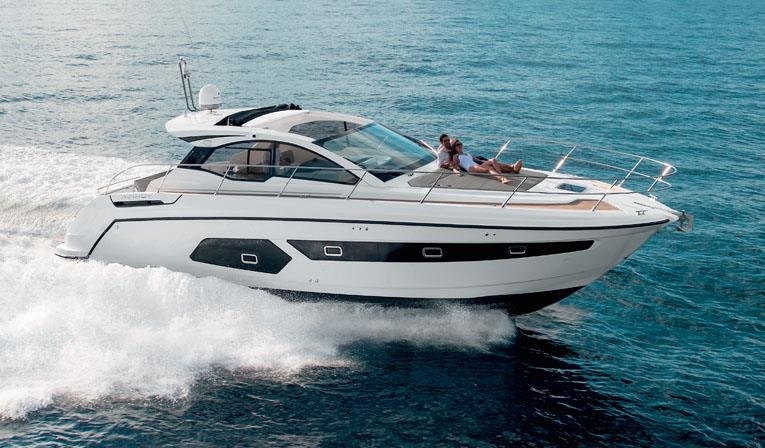 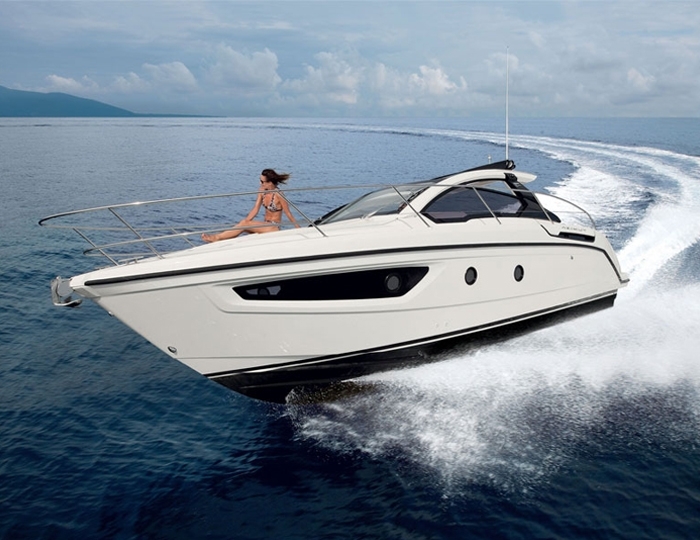 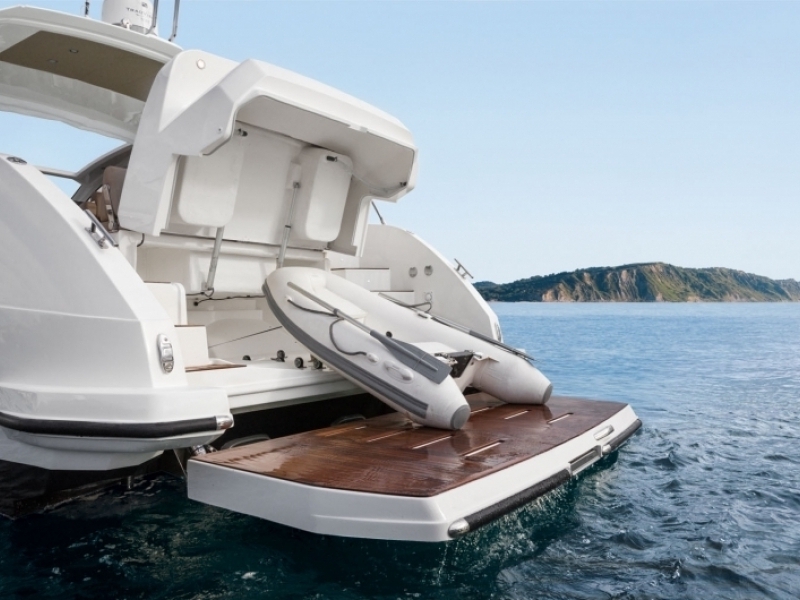 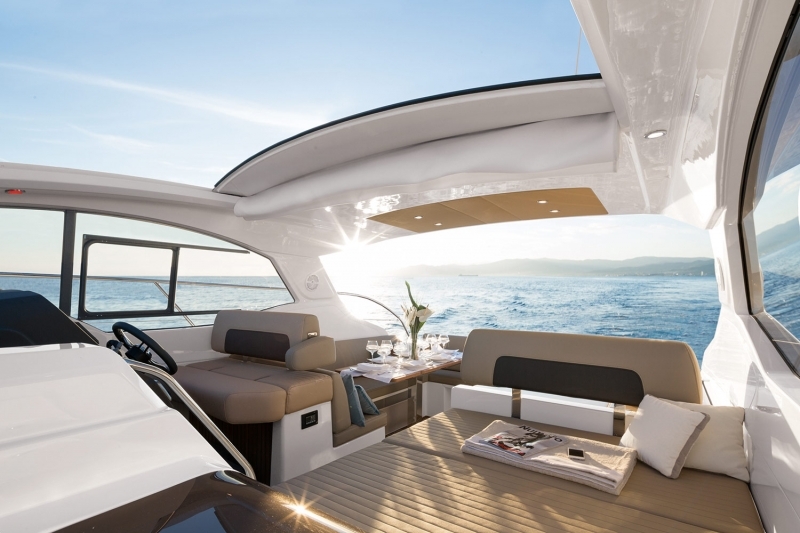 As with all Azimut motor yachts, performance has the characteristic, extremely Italian quality and sturdy construction that ensures safer and comfortable sailing even in severe weather conditions. 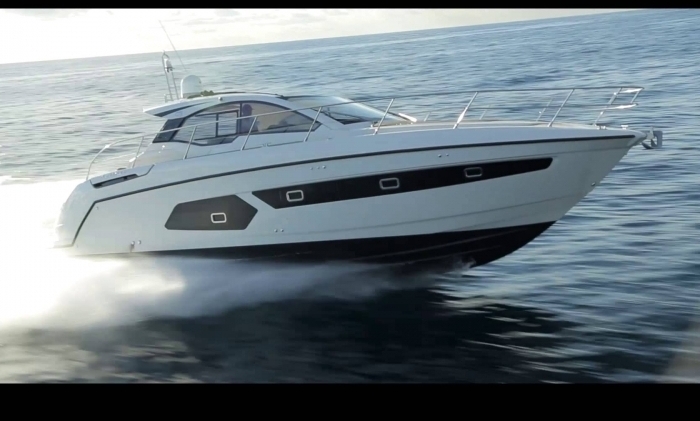 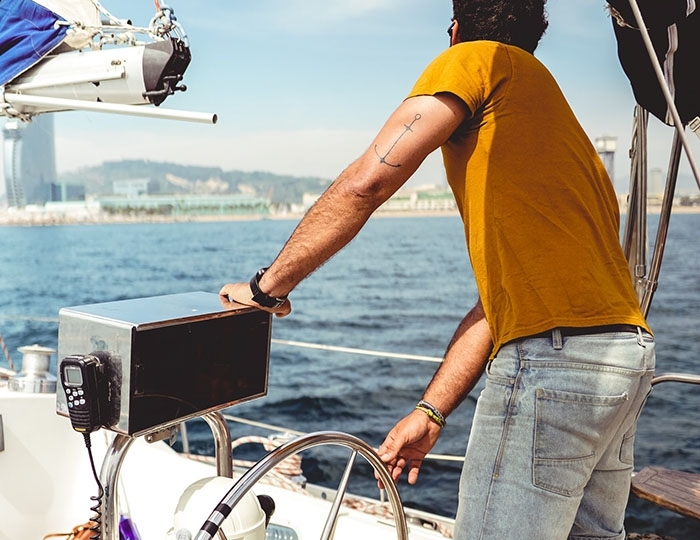 Extremely manoeuvrable and nimble yacht for its size and weight! 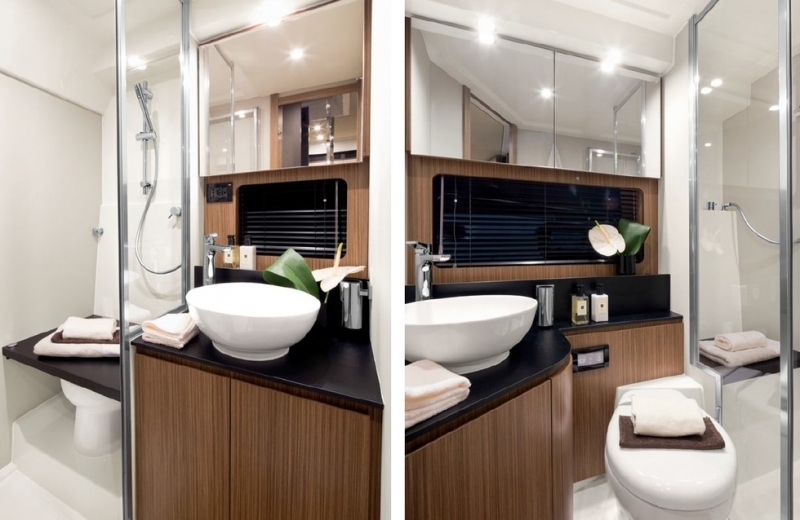 Apart from the perfect water behavior, you will certainly be impressed by the perfection of every detail and the high standard of furnishings.